Sarah relishes her independence. At 89, she recently gave up driving but still lives in the home where she and her late husband raised their family. A Meals on Wheels volunteer brings her a hot lunch five days a week. One son lives nearby and handles her heavy chores, but he and his wife are busy with careers and their daughter’s activities. Sarah has a good situation, except for one problem — getting to medical appointments. Sarah’s medication requires monitoring, and it’s hard for her son or daughter-in-law to take off work to provide the regular rides she needs. Despite the many resources she has in place, Sarah’s lack of transportation is a threat to her independence. The need for transportation is often a dilemma for seniors who have stopped driving, as well as for those who are comfortable driving to local appointments, but find getting to out-of-town specialists daunting. Navigating a congested interstate, confusing city streets, and dimly lit parking garages can be especially stressful to an older driver. Public transportation is sometimes a possibility, but there are limitations, as well as costs that can severely cut into a fixed income. In our community, there is one additional resource to consider — SourcePoint’s volunteer medical transportation program. Since 2007, SourcePoint has maintained an all-volunteer force of drivers who provide rides — and good company — to homebound seniors in need of transportation to appointments. The service is door-to-door, and the driver remains with the rider. Volunteers may offer to accompany the rider into the appointment for support, or remain in the waiting room for the duration. For adults ages 60 and older, the program is partially funded through a grant from Central Ohio Area Agency on Aging. Senior services levy dollars and private donations contribute to easing the financial burden of the program, which includes administrative costs and mileage reimbursement for volunteers. 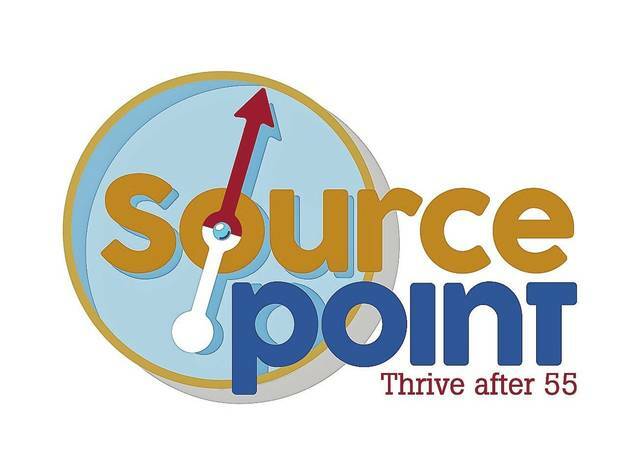 Last year, SourcePoint volunteers drove more than 44,000 miles, of which nearly 26,000 were donated. Of the 1,811 transportation requests submitted to SourcePoint last year, 81 percent were assigned to volunteers. In the event a volunteer is not available, seniors participating in the program should have a backup plan for transportation needs, which could include one of SourcePoint’s contracted providers, such as DATA or Alpha Group, or having a friend or family member on standby. Currently, about 50 trained volunteers juggle the numerous requests. Like all SourcePoint volunteers, they’ve passed a background check, but also have verified a clean driving record and attended specialized training. Volunteers use their own vehicles and select assignments that best fit their schedules. In the 12 years since the inception of SourcePoint’s medical transportation program, its volunteers have contributed nearly 12,000 hours of time to drive seniors to doctor appointments. This crucial service eases the minds of family members who cannot take off work or who live far away, and lowers the stress level for seniors fearful of city driving or the cost of public transportation. Along the way, many friendships have formed, and more Delaware County seniors have retained their independence. Jill Smith is the volunteer recruiter for SourcePoint. Learn more at MySourcePoint.org or call 740-363-6677.